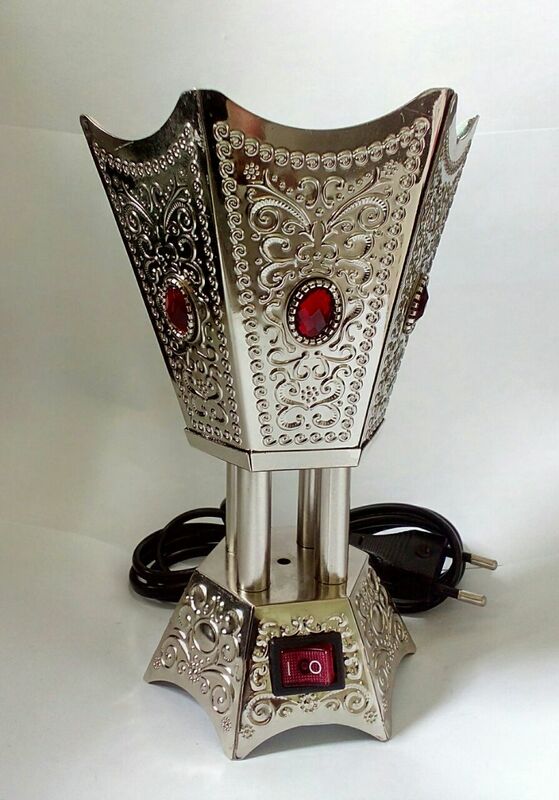 Electric Bakhoor Dan Silver, A brand new incense burner. This is an electrical burner; it heats the plate under the incense and there is no need for charcoal to burn the incense. It is ideal for your home or office and is beautifully designed to be used as a decorative item. Electric Bakhoor Burner are by far the best and most efficient way of burning fine incense. Now we are able at last to offer them at very good price.